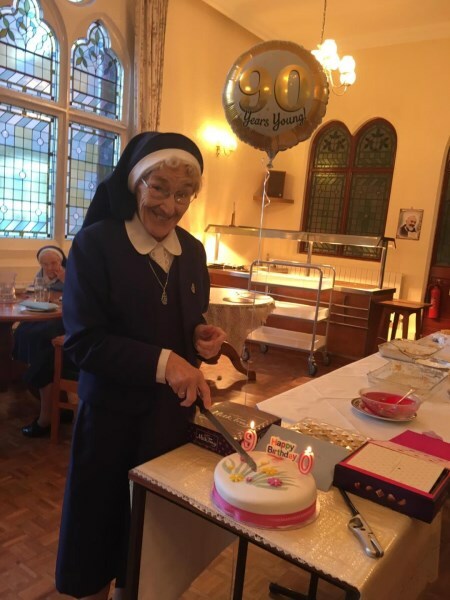 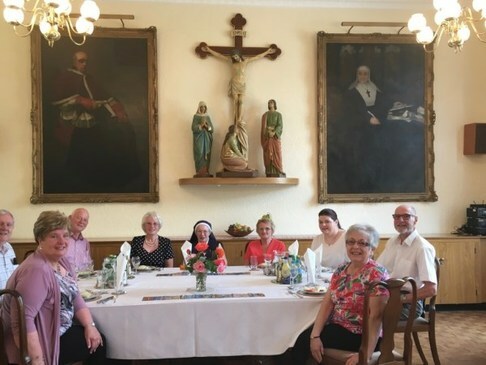 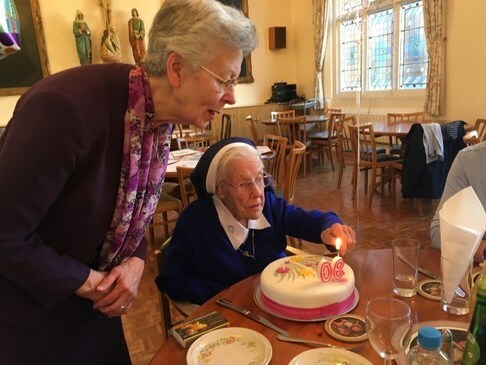 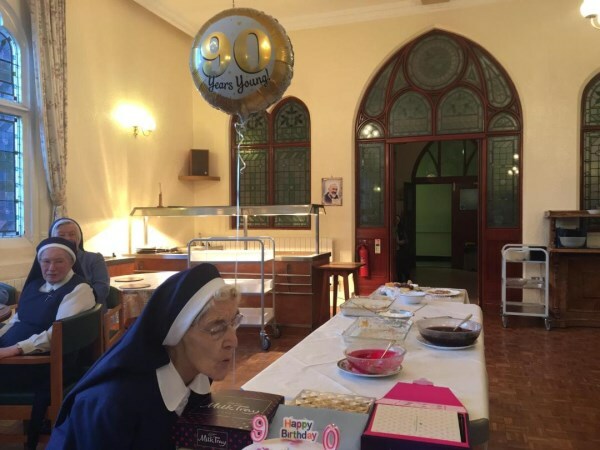 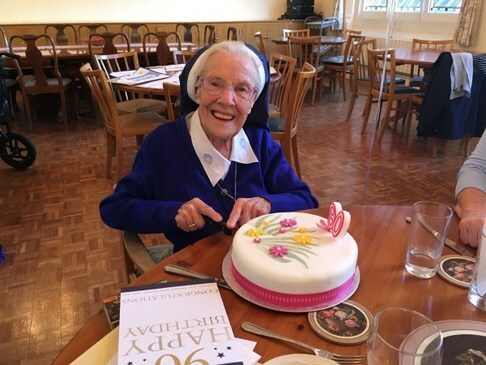 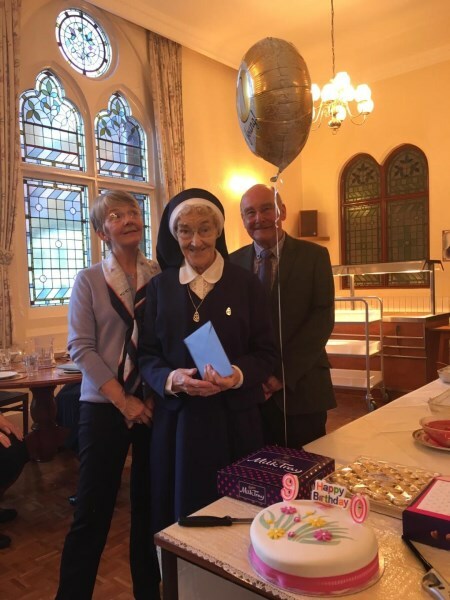 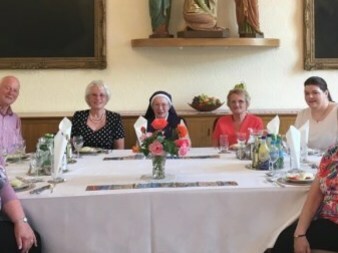 Sr. Bernadette celebrating her 90th Birthday with Family and friends. 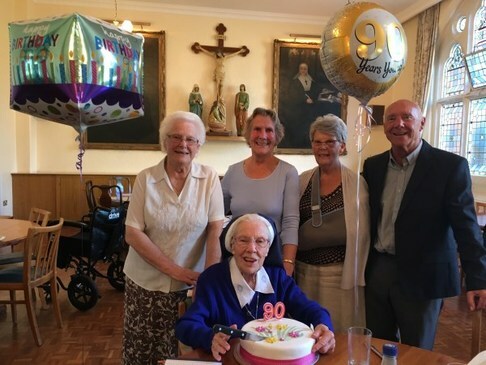 Sr. Teresa Curley celebrating her 90th Birthday with Family and the Sisters in Selly Park. 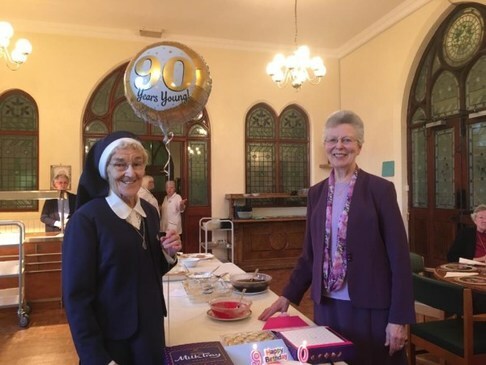 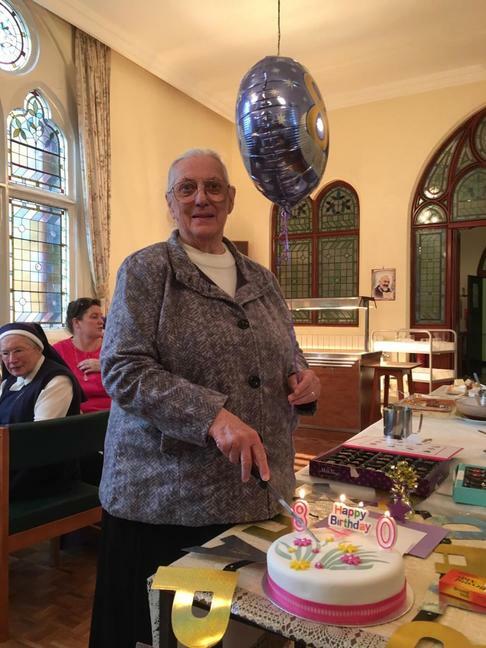 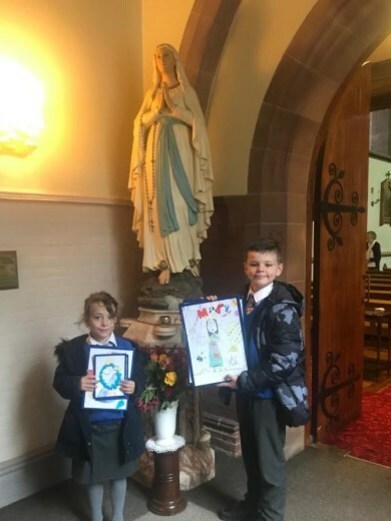 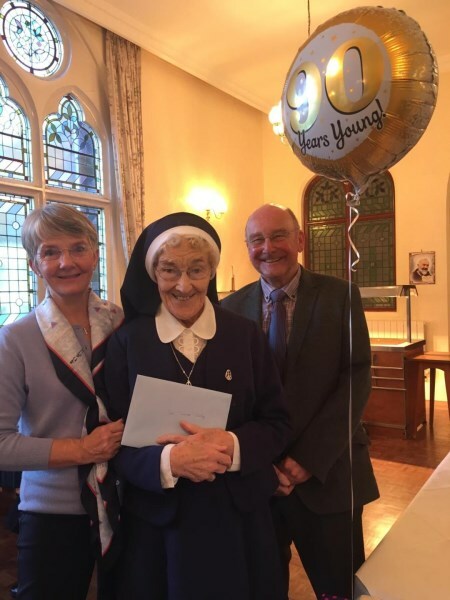 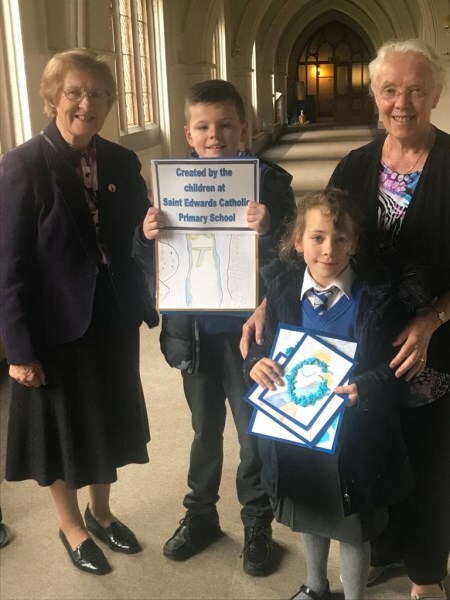 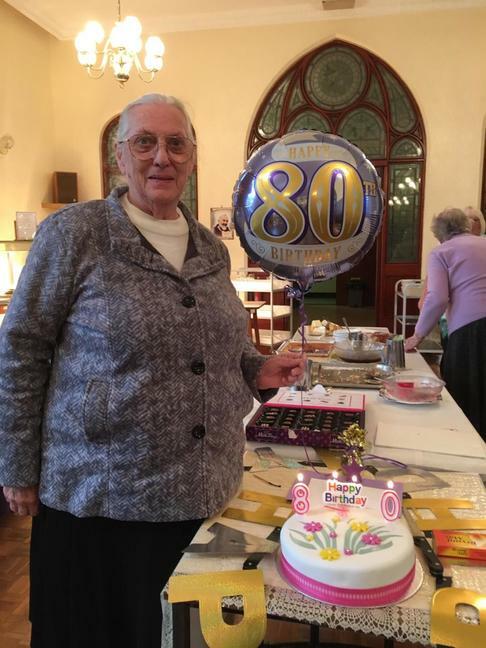 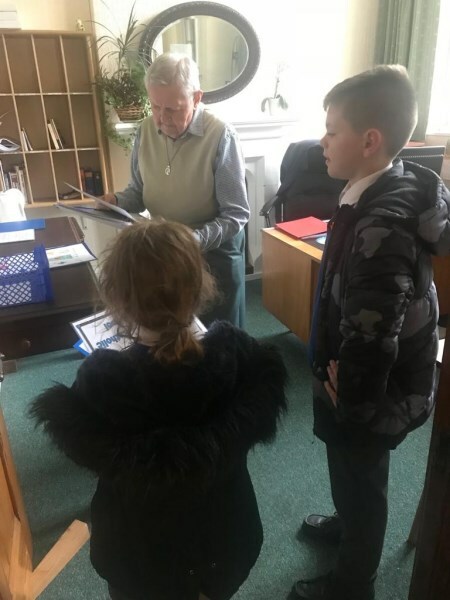 Warm Congratulations to Sr. Pam as she celebrates her 80th Birthday. 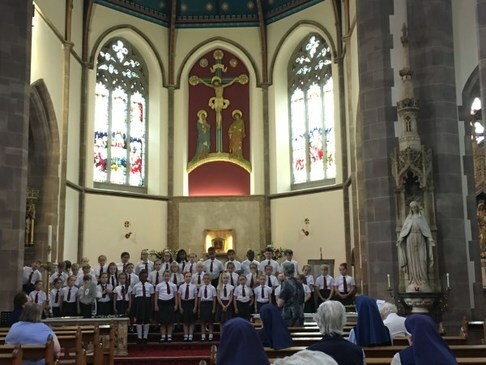 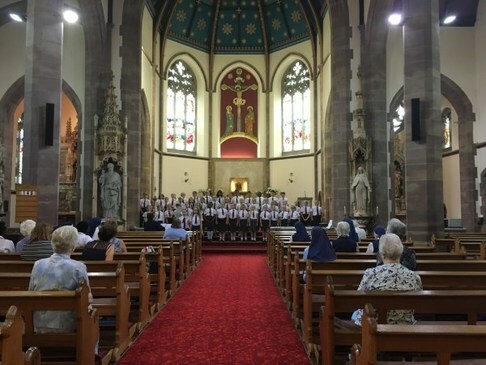 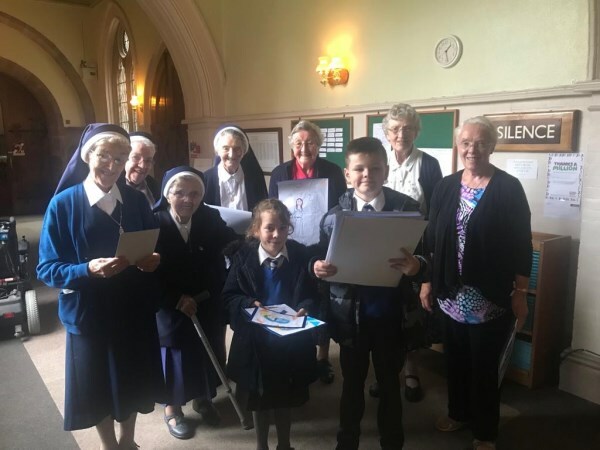 Sr. Sue and her School Choir entertaining the Sisters in Selly Park.